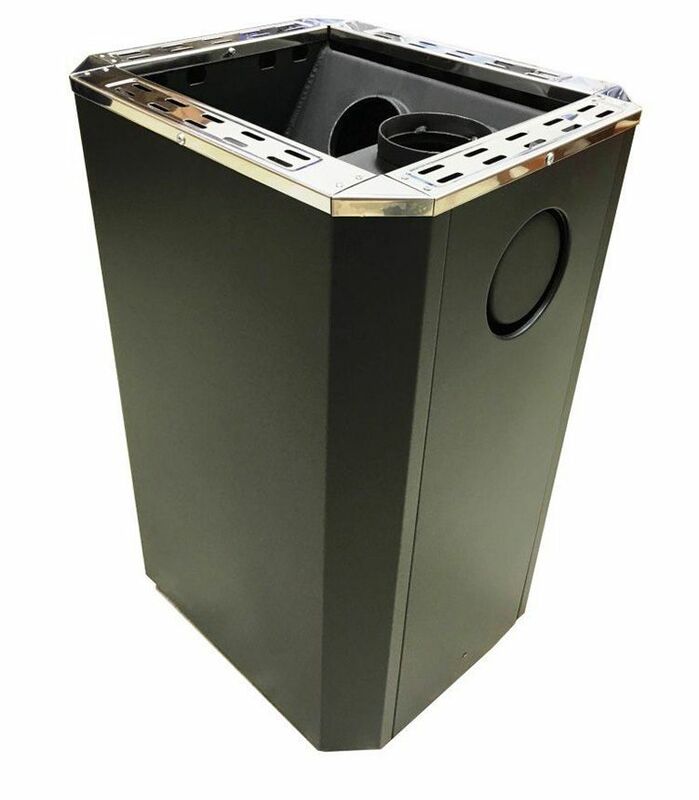 Northern Lights Cedar Saunas offers the SaunaCore Family 16 line of wood fired sauna heaters. These are quality wood fired sauna stoves made in North America. This stove features a glass door so you can watch the fire as you enjoy the sauna. Shown at left is the 6" pipe adapter we include with each stove at no charge. 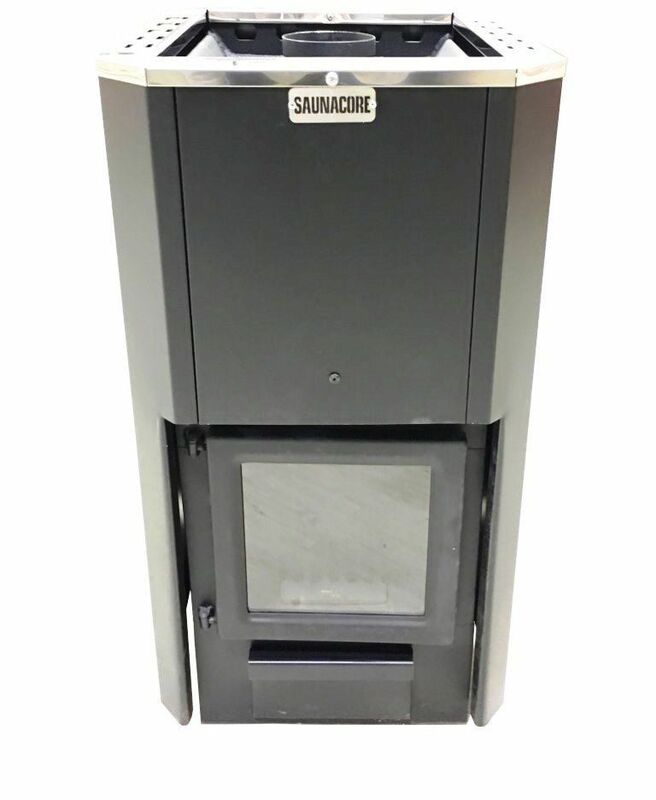 The sauna stove has a large stainless steel stone chamber and fire surface area for excellent heat storage capacity. The upper surface of the fire chamber is 10 mm (3/8") thick, ensuring years of enjoyable use. The outer mantle is beautiful enameled steel. 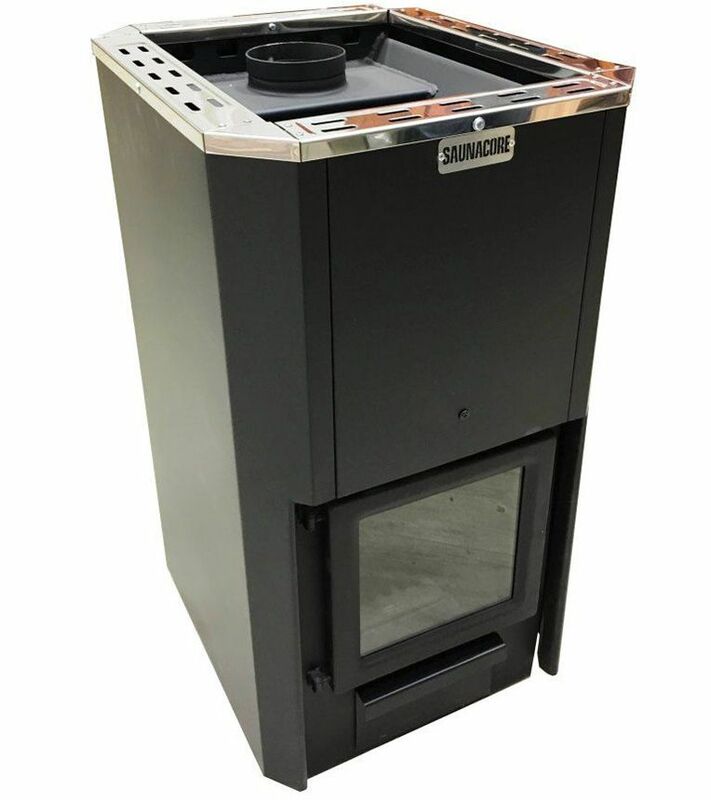 The exit flue can be user-configured to exit the top or the rear of the wood fired sauna stove. A new design in the combustion chamber ensures a good draft and the stones are heated evenly and effectively. Note: Chimney not include, please contact local building inspector to ensure proper codes for your area, as with any sauna wood heater this is not CSA approved. Distance of the flue outlet (center) from floor 600 mm (24") from behind. The size of the fire door is 8 1/4" wide x 7" high. The sauna fire box measures 16 inches deep. Accommodates 15 1/2" logs. The door swing is adjustable by the user for right or left hand swing. Supplied with enameled, removable ash tray for easy cleaning. Door should be lifted 1/4" when closing to secure it in the closed position. Flue can be exit at the rear or the top of the heater. Changeable by customer.